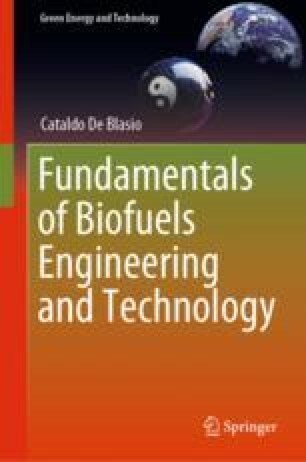 With knowledge of some properties of biomass given in Chap. 5, the focus of this chapter is on describing some of the most common types of physical and chemical analyses performed. This is done to assess the quality and the suitability of the feedstock at hand. In the case we are dealing with microorganisms, one of the central questions is the determination of the microorganisms’ content. Therefore, the Kjeldahl method is described here. The chapter is continuing with a very detailed procedure for the determination of the gross calorific value on a real case instrument used by the author of this book at Åbo Akademi University. This latest part is written in collaboration with Dr. Marco Simonetti, Site Engineering Manager at Bodino SRL, who has also provided some of the given photographs. The creatures instead …, the creatures are divided in creatures of love and creatures of freedom. Adapted translation from the book: Così parlò Bellavista. Napoli, amore e libertà. Mondadori, 2010. Bradley, H. C., & Nichols, M. S. (1918). Nitrogen content of bacterial cells. Journal of Biological Chemistry, 33, 525. Retrieved from http://www.jbc.org/content/33/3/525.full.pdf. Green, D. W., & Perry, R. H. (2008). Perry’s chemical engineers’ handbook (8th ed.). McGraw-Hill. Retrieved from https://doi.org/10.1036/0071422943. Mæhre, H. K., Dalheim, L., Edvinsen, G. K., Elvevoll, E. O., & Jensen, I. -J. (2018). Protein determination—Method matters. Foods, 7(1). https://doi.org/10.3390/foods7010005.